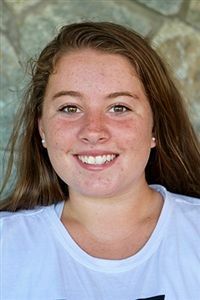 Senior Annie Z., whose outstanding batting and pitching led Foxcroft to a 21-10 victory over Highland on Tuesday, April 9, has been named Athlete of the Week for the period of April 7-13. A three-time Delaney Athletic Conference selection, Annie went 4-for-4 at the plate, including two doubles, a triple, a single, and six runs batted in. She also had a strong performance as pitcher, allowing only three hits, while striking out nine players, over five innings. Since making the starting lineup as a freshman, Annie has posted a career batting average of .408 overall and a .450 average in DAC games. 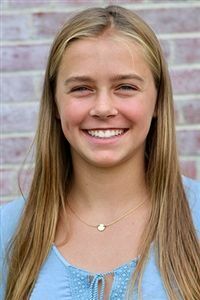 Freshman Georgia R., who scored a game-tying goal with only ten seconds remaining in regulation against Quantico on Thursday, April 4, and whose constant vocal encouragement to her teammates played a big part in the outcome of the game, has been named Athlete of the Week for the period of March 31-April 6. 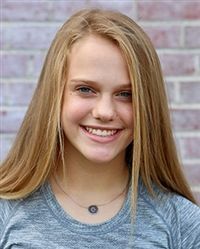 Georgia, who plays soccer year-round, also scored Foxcroft’s only goal in a 3-1 loss to Fresta Valley on Tuesday, April 2. On Thursday, Foxcroft was trailing, 2-1, with time running out when senior Lily F. sent a pass to Georgia through Quantico’s defensive line. Georgia broke free and put the ball into the net with just 10 seconds remaining. Prior to her game-tying goal, Georgia worked to motivate her team with her own determined play and with shouts encouragement. “We will not lose this game!" she yelled. “She was a team leader and continued to inspire the team to the last second,” Coach JJ Kern said. Junior Allie M., whose energetic play sparked Foxcroft to two basketball victories in a row for the first time this season last week, has been named Athlete of the Week for the period of Feb. 3-9. 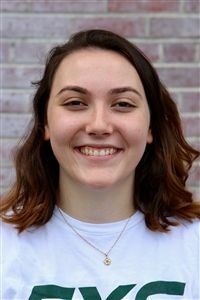 Freshman Gracen K. solved three very difficult climbing problems, motivating several of her teammates to also solve them, scoring a personal record of 30 points, and sparking the Varsity Climbing Team to its first ever victory last Tuesday. Gracen’s performance also inspired teammate Josie N. to a personal best, 30-point performance as the two freshmen led Foxcroft to a 134-119 victory over the Bullis School. For her efforts, Gracen was named Foxcroft’s Athlete of the Week for the period of Jan. 20-26, Climbing Coach Josie Ross announced Monday. 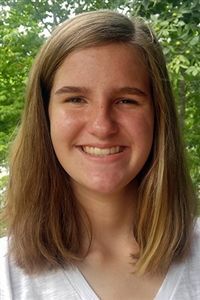 Varsity center Elizabeth S., who became the first freshman to record double figures in rebounds since Foxcroft joined the Delaney Athletic Conference 11 years ago, has been named Foxcroft School’s Athlete of the Week for the period of Jan. 13-19.